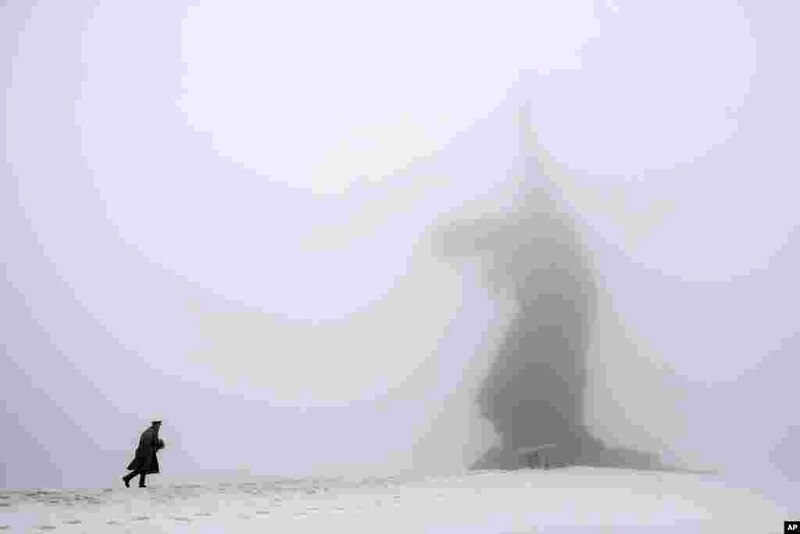 ৫ A man dressed in a Red Army World War II uniform walks toward the monument to the Motherland during ceremonies marking the 72nd anniversary of the Battle of Stalingrad in the southern Russian city of Volgograd, former Stalingrad. 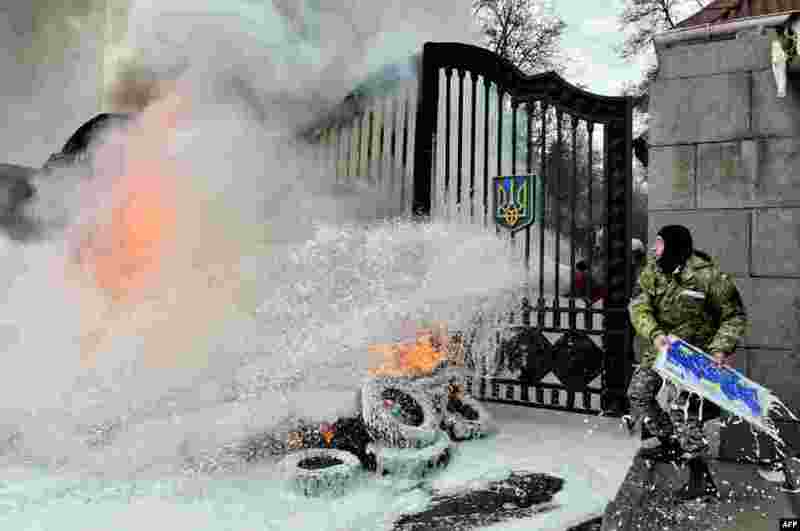 ৬ A Ukrainian serviceman throws a signboard over the gates as the flames are doused after fighters of the Aydar Ukrainian volunteer battalion, burn tires at the entrance to the Defense Ministry in Kyiv during a protest against the possible disbandment of their battalion. 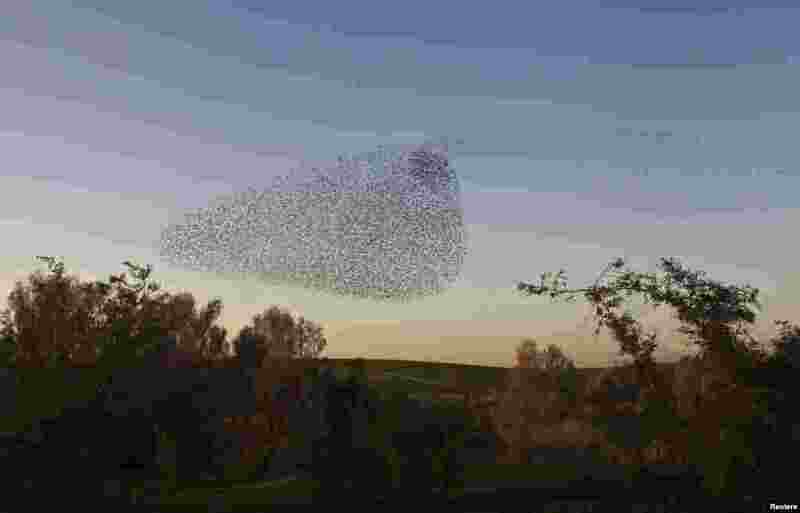 ৭ Migrating starlings fly in formation across the sky near the southern Israeli town of Rahat. 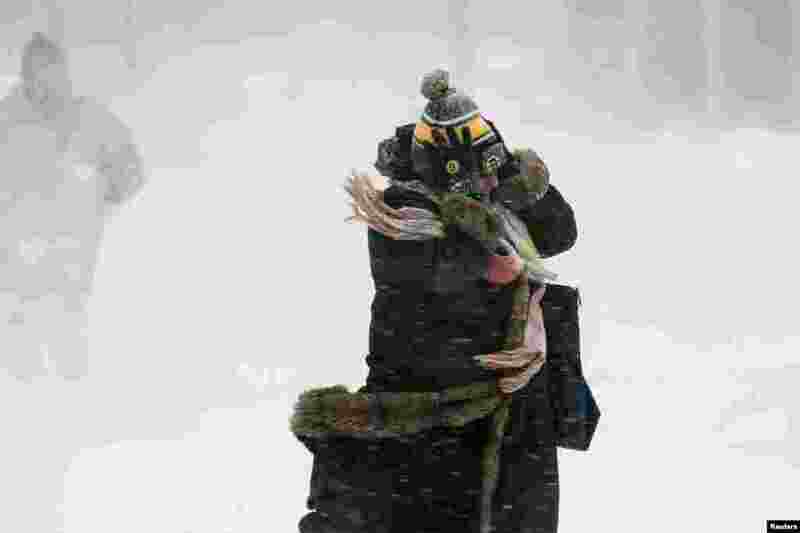 ৮ A woman holds onto her hat against the wind during a snow storm in Boston, Massachusetts. Boston, already buried under two feet (60 cm) of snow from a blizzard last week, was predicted to see a foot of snow after a huge winter storm hit the northeastern United States.